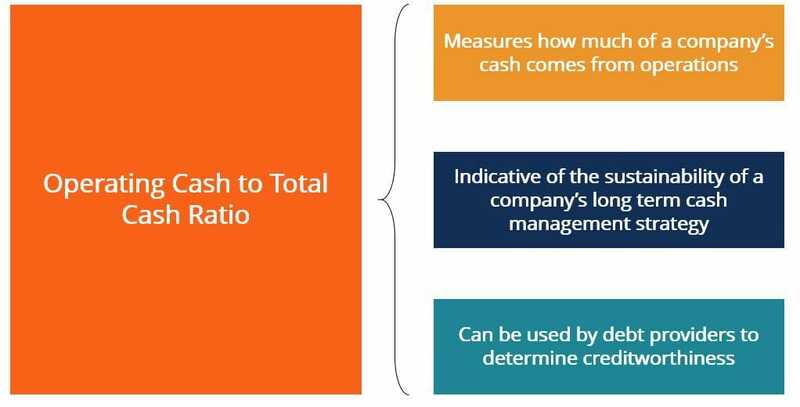 What is the Operating Cash to Total Cash Ratio? 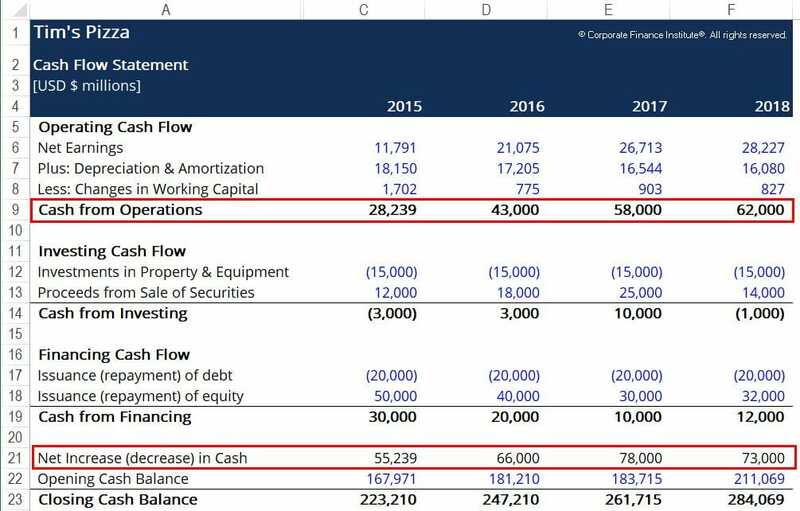 The Operating Cash to Total Cash Ratio measures how much of a business’ generated cash flow comes from its core operations. This can be used as an indicator of how well a business can sustain its current cash management strategy in the long term. A business that earns the bulk of its cash from its core operations will likely be able to sustain its liquidity for a longer period of time. By contrast, a business that earns the bulk of its cash from its financing activities may indicate that the business does not currently support a cash position that is sustainable in the long term. The Operating Cash to Total Cash Ratio can also be used by creditors to determine a company’s creditworthiness. If the company’s cash comes primarily from debt disbursements or tapping into external equity funds, the company may already have a degree of leverage that debt providers are not willing to accept. Therefore, access to debt financing for companies with a low OC to TC ratio is more restricted since the bulk of their cash flow does not come from operations. How can we calculate Operating Cash to Total Cash Ratio? Net Change in Cash – refers to the total cash flows that the business has experienced for a given accounting period. It is the sum of the cash flow from operating activities, investing activities, and financing activities. Found on the business’ cash flow statement. Generally speaking, companies that are still growing may not have a lot of traction in their respective market yet. This means that their day to day liquidity relies on alternate cash sources (such as debt or venture capital funds). However, having these sources of cash as the main/only sources of cash is not sustainable in perpetuity. Conversely, a mature company usually relies less on external capital and is able to finance its projects with the cash it has generated from operations. Here, we can see that Tim’s percentage of cash from operations is increasing each year. This is an indication that the business is approaching long term sustainability. It is able to generate the bulk of its cash flow from its operating activities. This may also mean that the business can begin considering debt financing to fund future NPVNPV FormulaA guide to the NPV formula in Excel when performing financial analysis. It's important to understand exactly how the NPV formula works in Excel and the math behind it. NPV = F / [ (1 + r)^n ] where, PV = Present Value, F = Future payment (cash flow), r = Discount rate, n = the number of periods in the future-positive projects in order to create more value for shareholders. Creditors will be more inclined to lend and charge lower interest rates since they will have a higher degree of confidence with regard to the company’s ability to make debt repayments. To better understand the financial health of the business, the Operating Cash to Total Cash Ratio should be computed for a number of companies that operate in the same industry. If other firms operating in the industry see ratios that are, on average, lower than Tim’s, we can conclude the company is doing a relatively good job of implementing a sustainable long term cash strategy.